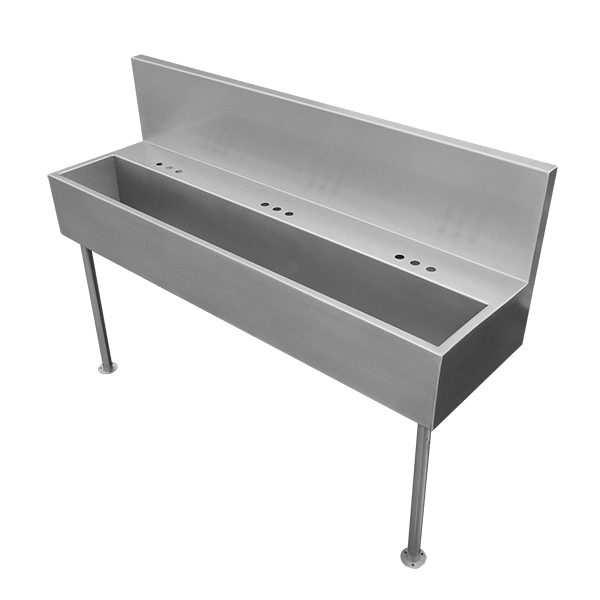 The Willoughby CWWS-Series Commercial Wall Sink is a multi-user, stainless steel fixture for vandal-resistant commercial use. Fixtures are all-welded, fabricated from 14 gauge and 12 gauge, Type 304 stainless steel polished to a #4 satin finish. Standard CWWS-Series fixtures come with a long rectangular-shaped sink bowl, 1-1/2” O.D.support legs, flat strainer drain w/ 4” x 1-1/2” O.D. tailpiece, and faucet holes for 2-5 separate stations (verify dimensions, faucets by others). 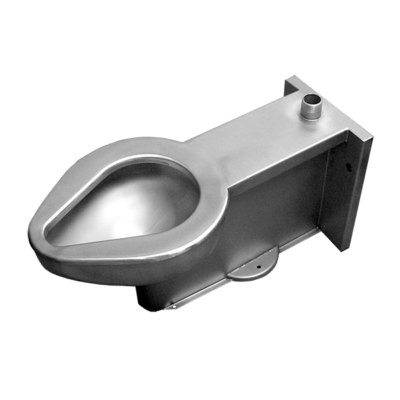 All connections between the outside plumbing and the fixture are made underneath the vandal-resistant, stainless steel fixture, with anchoring through the included Z-clip and flange mounting holes (anchoring hardware and adequate backing by others). 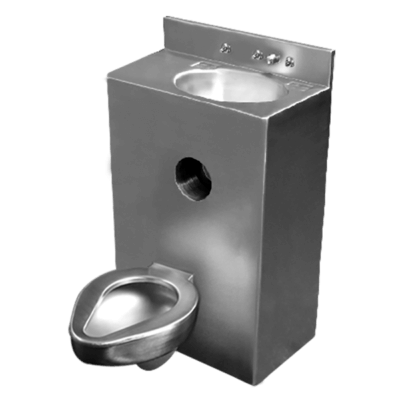 Willoughby 2096-Series 20” Offset Toilet Combination Lavatory Toilet is a single-user fixture for use in security environments, typically with 90-degree mechanical chases. Fixtures are all-welded, fabricated from 14 gauge, Type 304 stainless steel polished to a #4 satin finish. 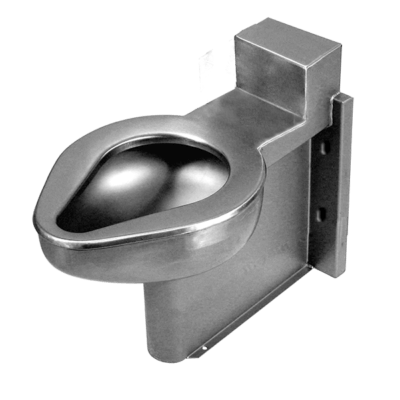 Standard 2096-Series fixtures come with offset blowout elongated toilet, oval lavatory sink, and standard 4-point mounting. The 2096-Series Combination fixture can be supplied with a variety of optional features including: valves, controls, plumbing, etc. All connections between the outside plumbing and the fixture are made within or at the rear of the vandal-resistant, stainless steel cabinet.